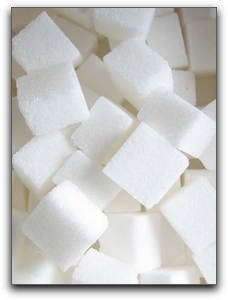 We advise our Lafayette, CO cosmetic dentistry clients at Gordon West DDS, Cosmetic & General Dentistry to watch their sugar intake to prevent cavities and other health problems. Do the math: when shopping at Lafayette, CO area markets or health food stores, carefully decipher food labels before you buy. Four grams of sugar equals one teaspoon. Add up all the grams of every type of sugar listed and divide by four to truly understand how much sugar an item contains. At Gordon West DDS, Cosmetic & General Dentistry, we advocate and practice preventative care for lifelong dental health. For more information on how your diet affects your dental health, contact us at 720-862-3630. If you are interested in improving your smile with cosmetic dentistry, ask Lafayette, CO dentist Gordon West DDS about the options for your teeth. We offer a wide range of services including teeth whitening, porcelain veneers, dental implants and even sedation dentistry for anxious dental patients. We are located at 1140 W South Boulder Rd, Ste 201 in Lafayette, CO.